This detailed addition to the Thomas Sabo Karma bead collection will bring meaning and style to your wrist. 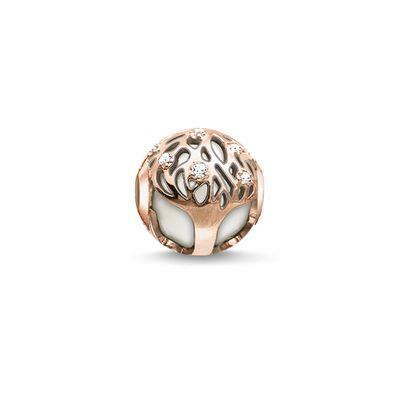 The Tree of Life is a beautiful symbol of fertility and life which has been symbolised on this design in 18ct Rose Gold plated Sterling Silver. A White Jade stone sparkles from the filigree design that centres the Tree of Life bead, a semi-precious stone believed to lend its wearer harmony and contentment.